How good an accountant are you? If your boss was hiring for your current position, do you think they would rehire you for doing a good job? And if you are currently job searching, do you think you have the right skills to get hired in the job you are applying for? Do you, really and truly, believe you are well qualified? Just take a moment to think about these questions. From experience, I have realized that so many accountants miss out on great job opportunities not because they don’t have the qualifications but because they don’t have the skills that employers are looking for. This has made accounting one of the most saturated professions and as an accountant; you have to do more than just stick to your CPA. It’s important that you keep updating your skills as you go for instance through this Practical Accounting Skills Training offered by Corporate Staffing Services every week that has seen more than 360 professionals equipped with skills on how to file taxes as well as QuickBooks usage. Do you have all the accounting qualifications like CPA and even an accounting degree but still every application you make goes unanswered. Here is the secret; chances are that employers are looking for skills you don’t have or you already have but are not bringing them out clearly in your CV. Must have a Degree in Accounting or Finance. I have put in bold the skills I am talking about. Sad to say that in both jobs, you may have a degree in accounting and CPA but if you don’t have experience in payroll or using the accounting software listed, you will not be shortlisted for these two jobs. The accounting field has evolved as more and more people continue to pursue CPAs and as such the employer’s mindset has shifted. They are now looking for that “wow” factor; what makes you unique. Or rather what extra are you bringing to the table besides your degree and CPA? Rather than just sit there waiting for a job, why don’t you take that opportunity to update your skills. “In a single accounting job we advertise, applications start streaming in immediately. These applications can reach up to six hundred and most of them are equally qualified. 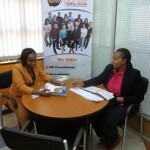 This means that if you only need one candidate, 92% of these applications will not be reviewed,” says Cynthia Wangeci a recruitment manager at Corporate Staffing Services. What does this mean for you as an accounting professional? That if you want to succeed and get a well-paying job, your CV needs to stand out from the rest. And you stand out by having more to offer the employer than the other candidates. It’s a jungle out there and only the strongest will survive. The only question is: will you be among them? The accounting profession may be saturated but no matter how much the world advances, the need for accountants will never cease. As saturated as it is, you can still get a grip on the job market by following what I have talked about in this article. Get your skills updated and you can start by signing up for this Practical Accounting Skills Course happening in December. Click here for more details and to know how you can book your spot. Lilian is a Communication Officer at Corporate Staffing Services, a leading HR firm that offers CV Writing, Coaching, Training and Free Job Placement.